Ex-Mag now coaching at Atlanta Utd makes exciting Almiron admission – A must read – NUFC blog – Newcastle United blog – NUFC Fixtures, News and Forum. 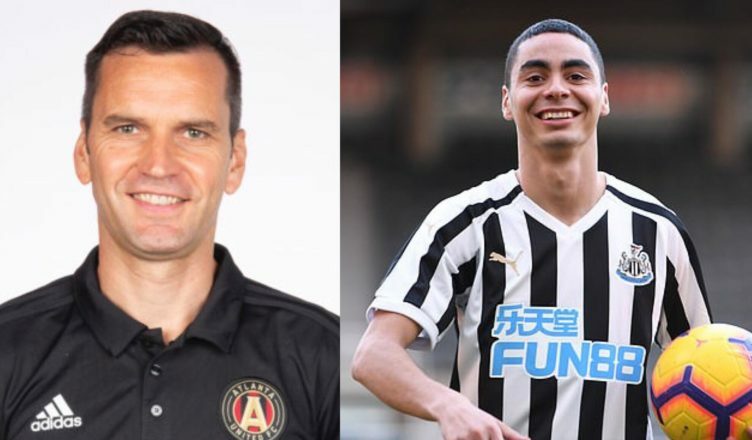 Stephen Glass – the ex-NUFC winger now coaching with Atlanta Utd – has shared a glowing review of new Newcastle United signing Miguel Almiron – believing he is a ‘fearless footballer’ and a ‘very special talent’. “Newcastle United have got a very special talent on their hands in Miguel Almiron. “He is a fearless footballer, very attack-minded. “Having been at Newcastle I know exactly what the Geordies appreciate and Almiron has it in abundance. “He is someone who has no fear with the ball at his feet but will also work very hard without it. “He is a very dangerous player and will work for the team. “The MLS is a very different style, a different culture to Europe, but there are some very good players at most of the teams over here. “Iff Almiron suceeds, as I expect he will, then you may see one or two others looking to signs stars of the MLS. He has the power to change perceptions with this move. “Miguel is a player who ‘gets it’…he was adored by thousands here at Atlanta, played to massive sell out crowds, so he will not be overawed by playing at a special place like St James Park. “Every player wants to play at grounds like Newcastle and I’m sure the Geordies can’t wait to see Almiron for themselves. It is yet another rave review for Almiron to add to his impressive cameo at Wolves. He looked rapid, dangerous going forward and hard working – a combination Newcastle fans will love. More and more former team mates and coaches are sharing glowing references about his character in particular, so it may just be that Newcastle have a real player on their hands. Almiron was tracked by Rafa Benitez for the best part of 18 months for a reason and it may just be that Almiron will be unleashed into our starting XI for the first time against Huddersfield. The more we learn about Almiron the more I think he is exactly the player we have lacked; making it clear just why signing him was so important to Benitez and his own long term future. When the team has a flu epidemic and the kid who normally cleans the boots has to cover in goal, Isn’t that the type of adjective used to describe his performance when you lose 11-0?